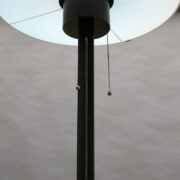 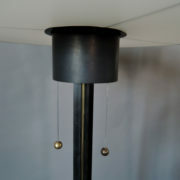 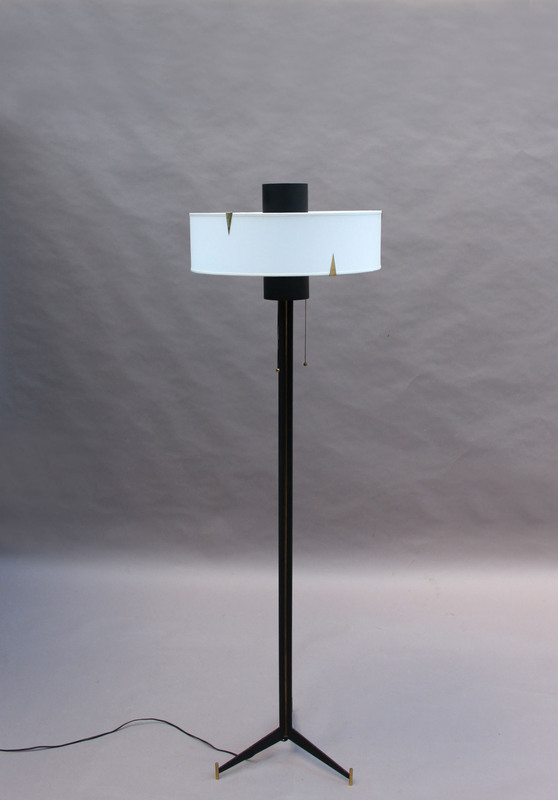 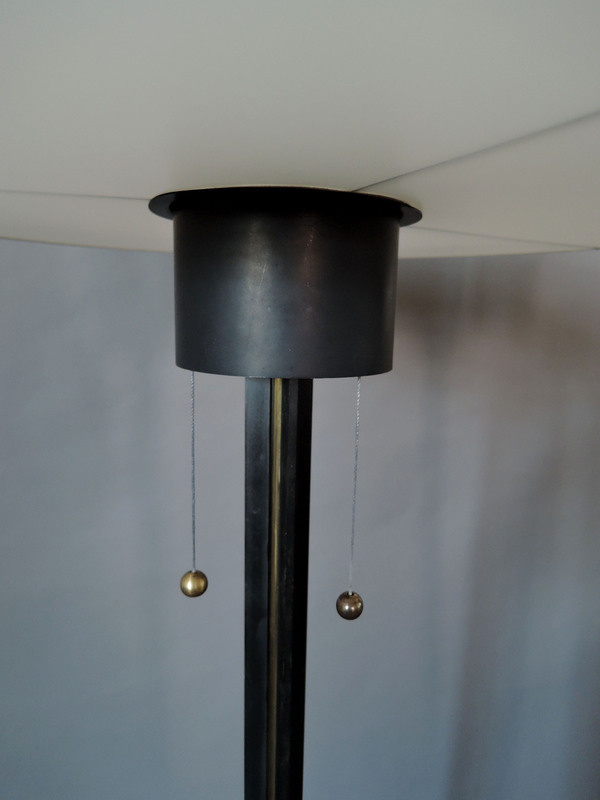 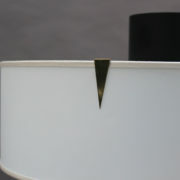 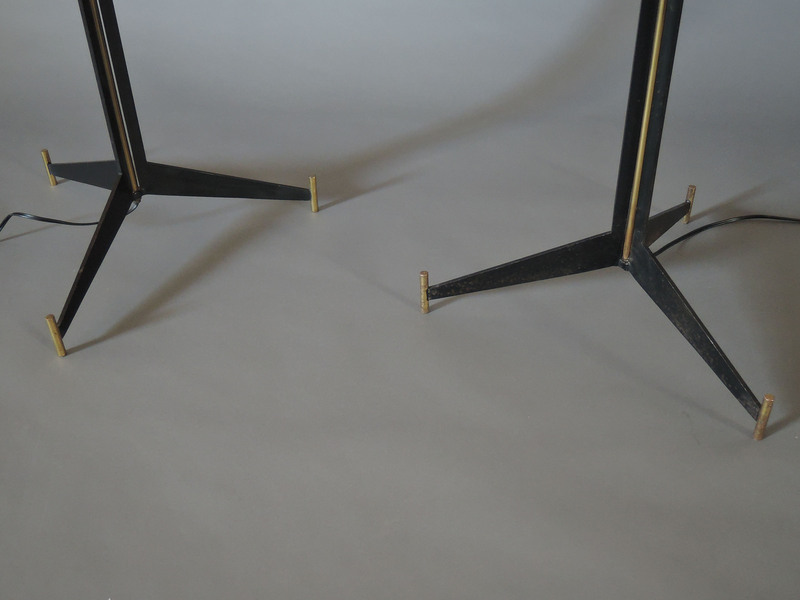 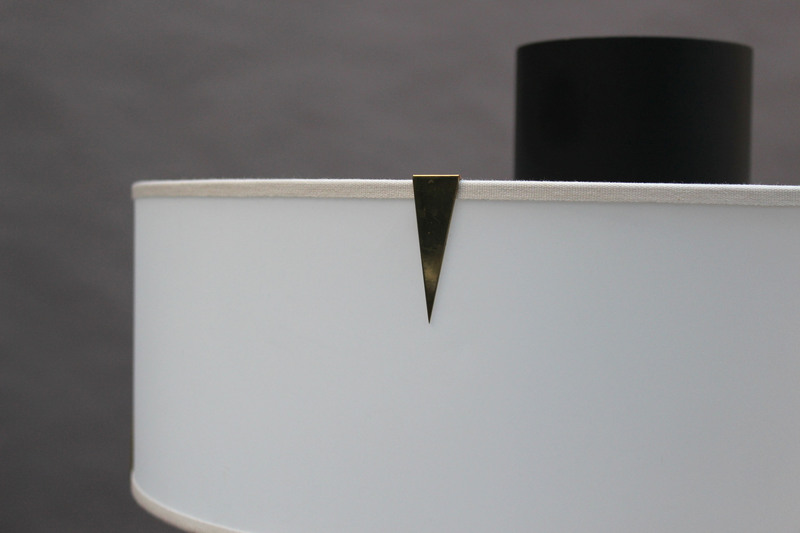 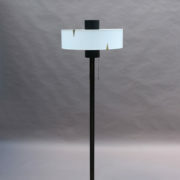 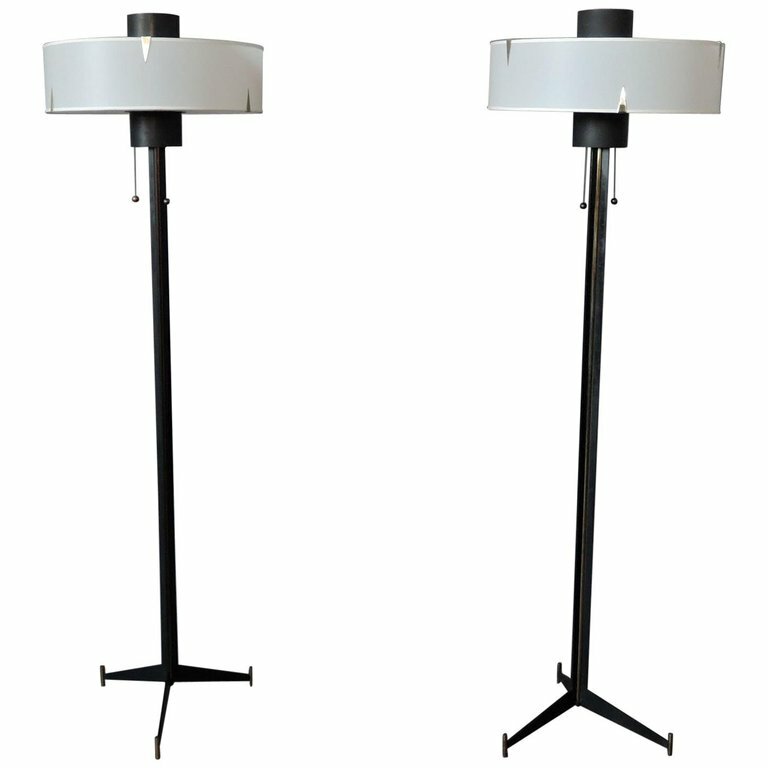 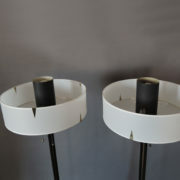 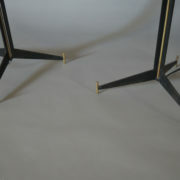 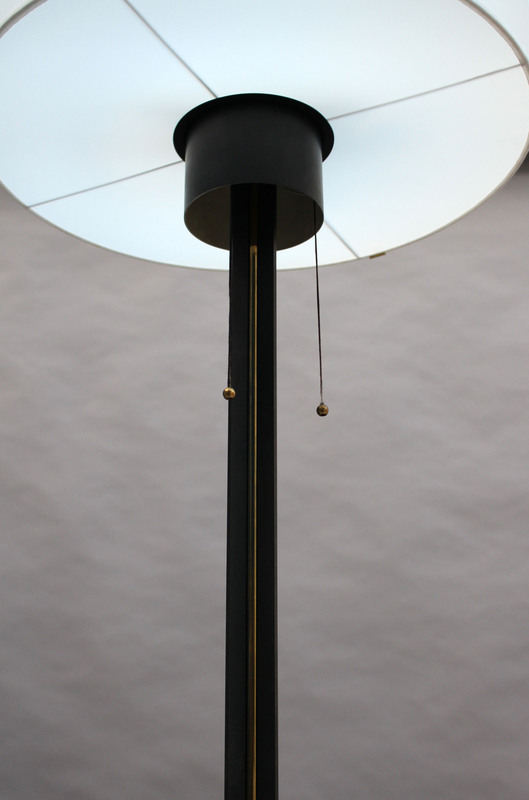 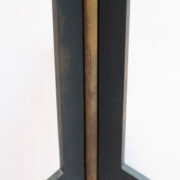 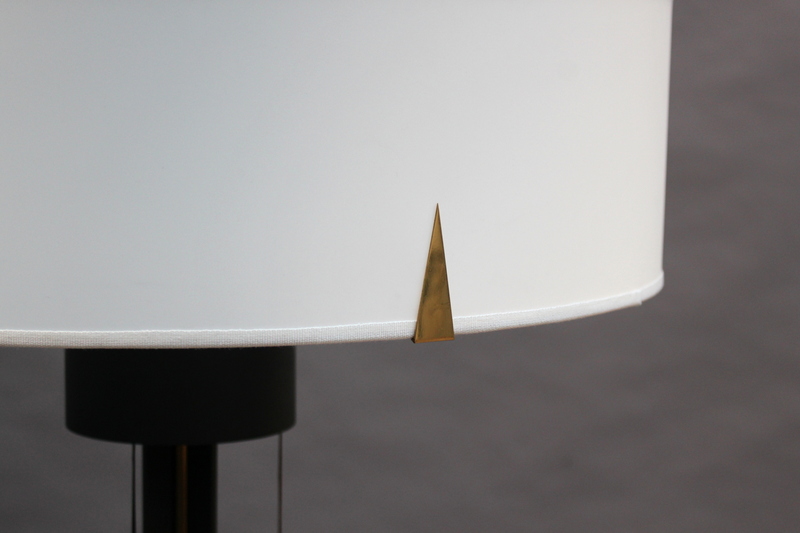 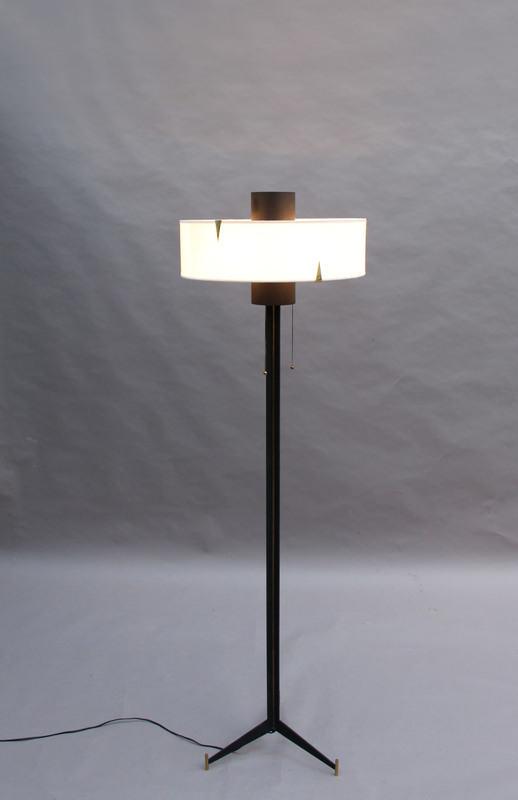 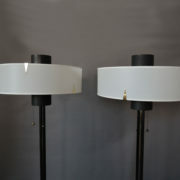 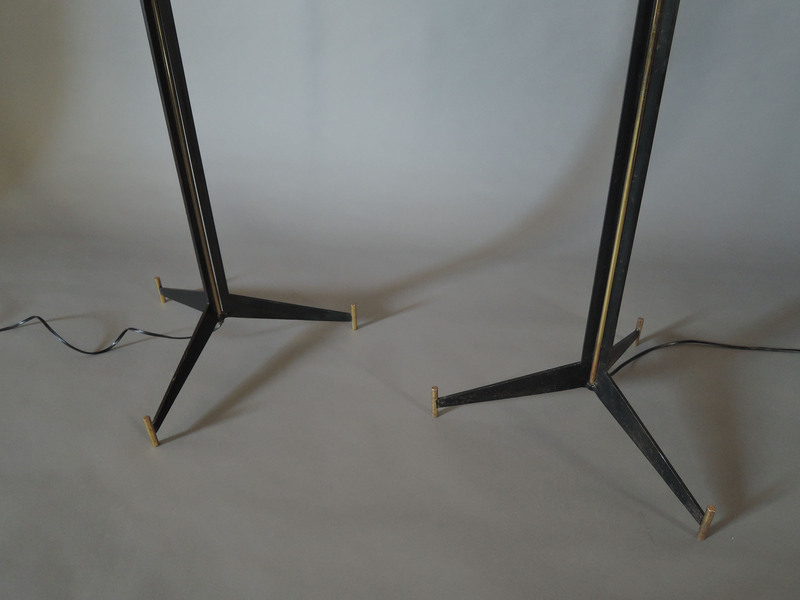 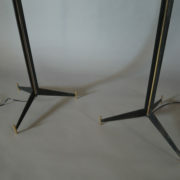 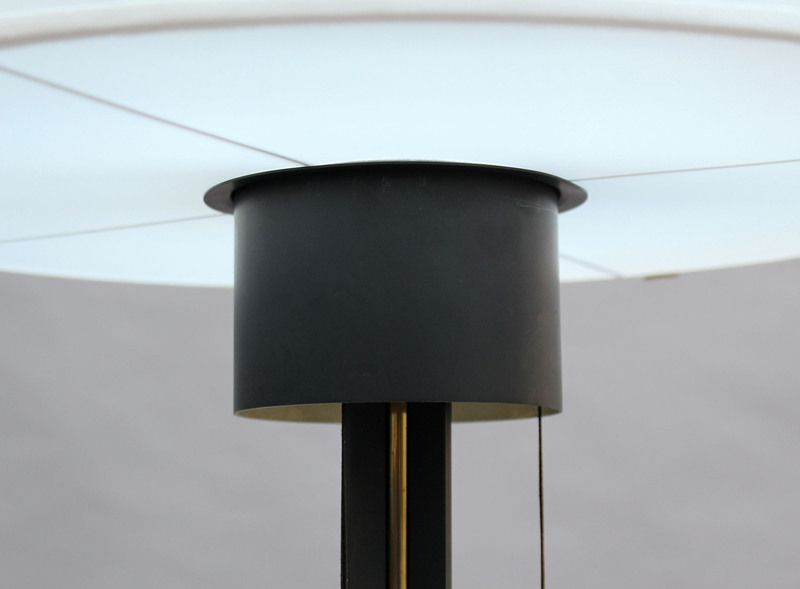 Two fine French 1960s floor lamp by Maison Arlus, with a black metal and brass base, and a remade circular shade with brass details. 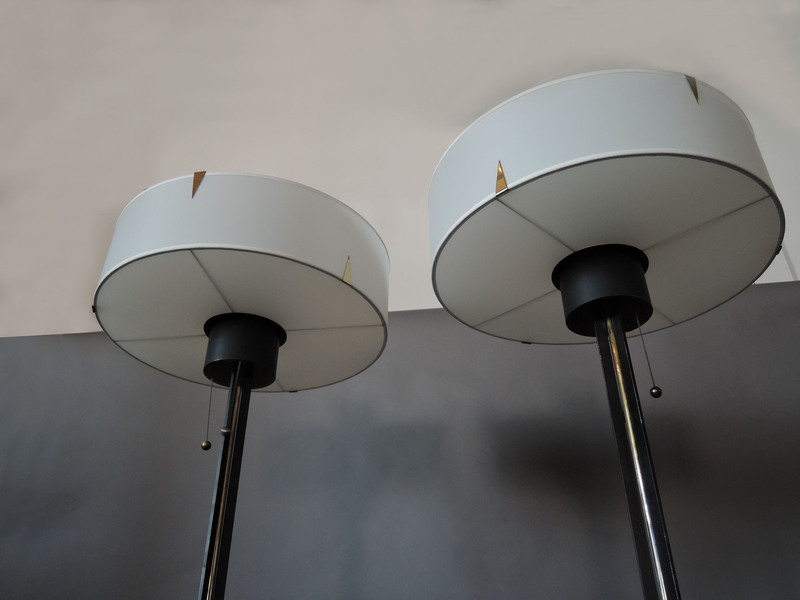 US re-wired (with 1 central standard bulb and 3 candelabra bulbs per lamp). 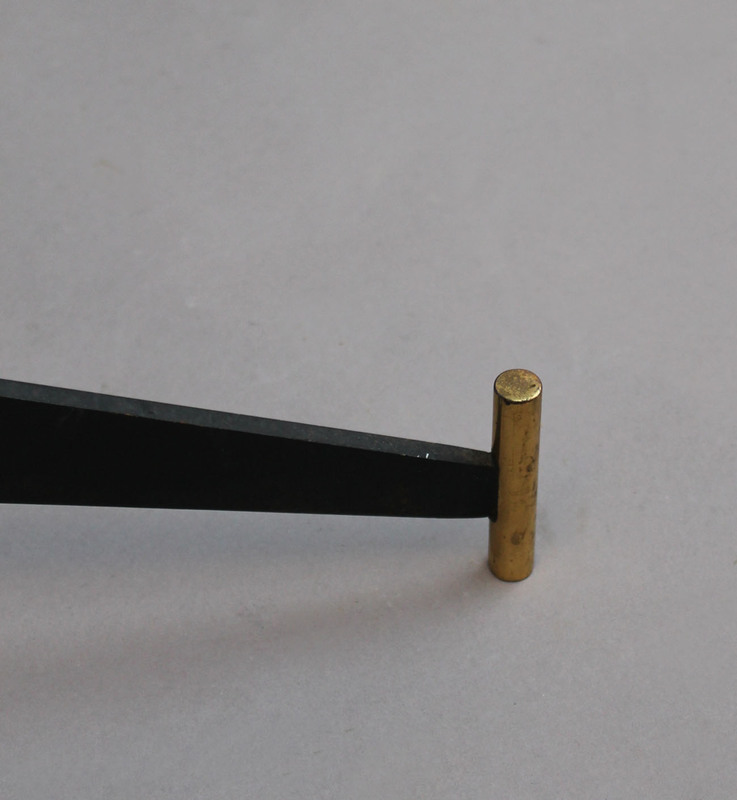 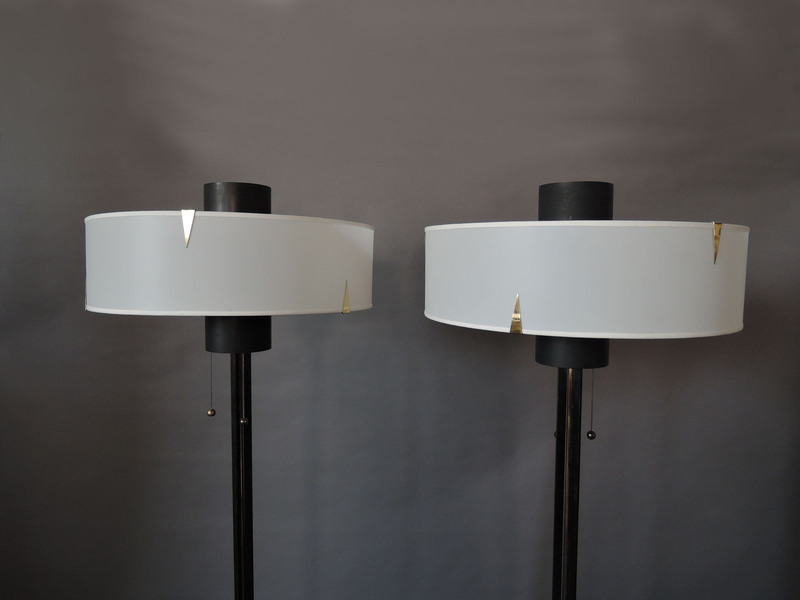 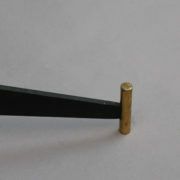 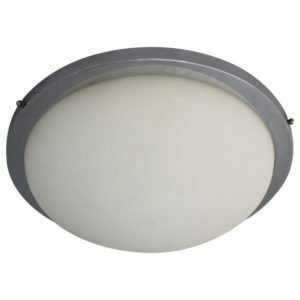 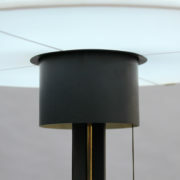 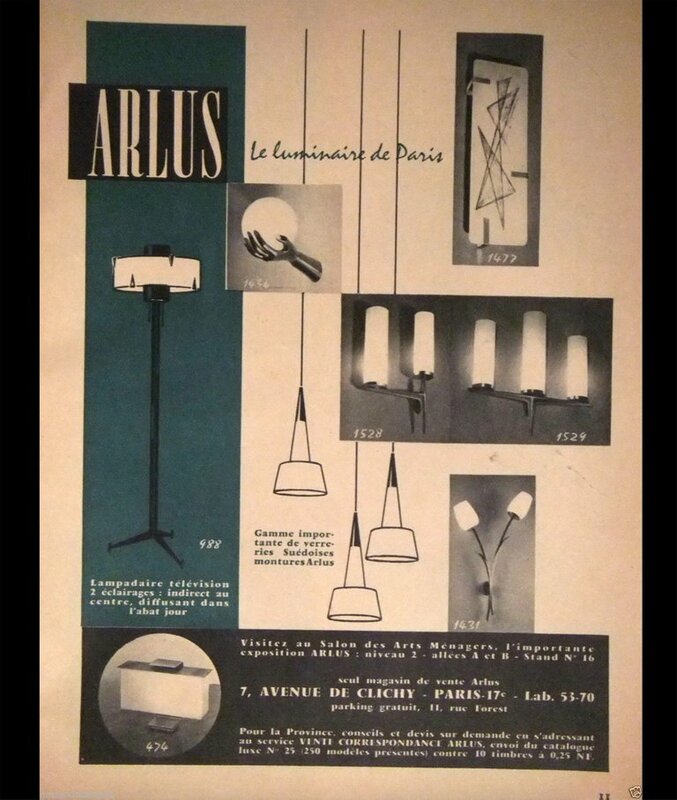 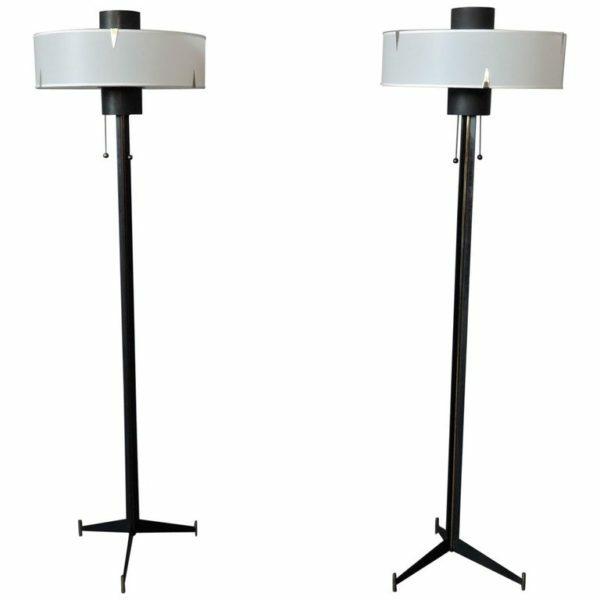 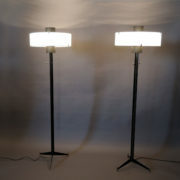 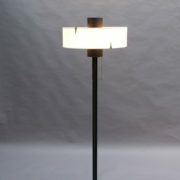 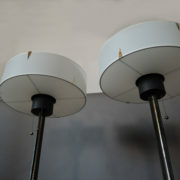 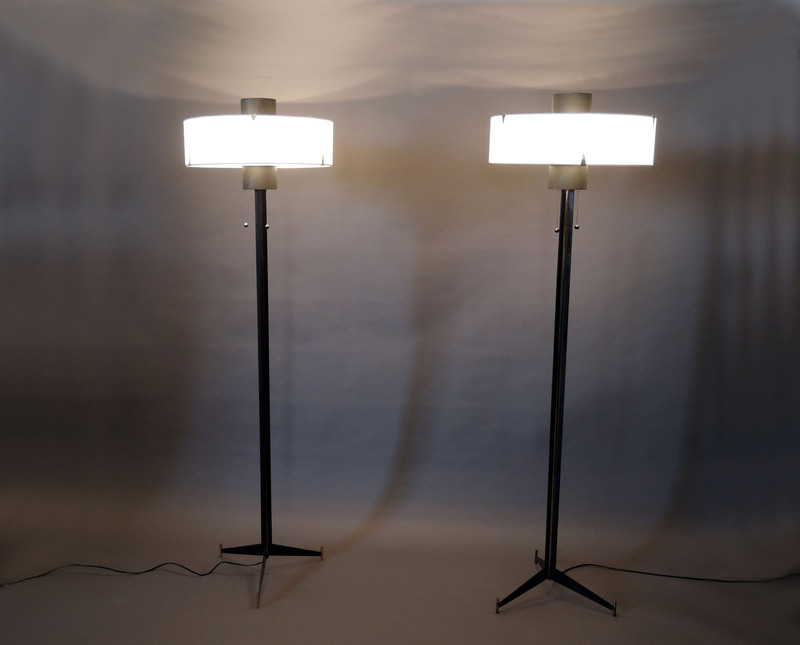 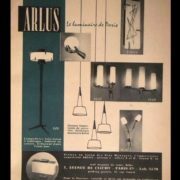 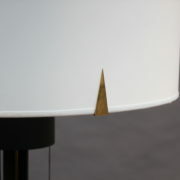 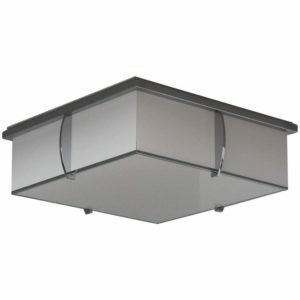 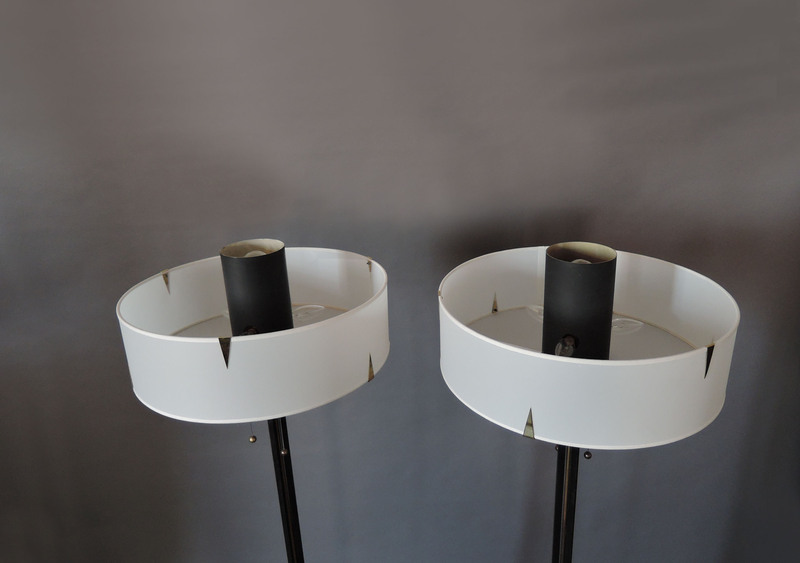 Soyez le premier à laisser votre avis sur “2 Fine French 1960s « Television » Floor Lamps by Arlus” Annuler la réponse.